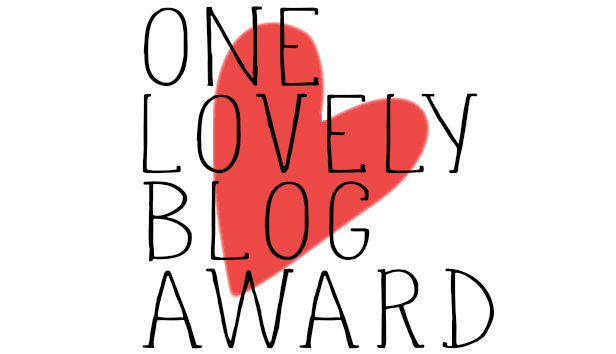 So last week I was nominated by the lovely Amy From Von Dork for the One Lovely Blog Award.- Thanks Amy! 1. Thank the person nominating you and link back to them in your post. Share seven things about yourself. Nominate fifteen or so bloggers you admire. (I'm only doing 10) Contact your chosen bloggers to let them know. 1) My favourite all time ever band is Westlife- Been to see them 9 times and was obsessed. I probably lose major cool points for that. 2) I live in Leeds with my Boyfriend Matthew. 3) I've been on TV all local back in Northern Ireland. I was talking about wether or not I believed in Fairies- I think my Mum still has it recorded on VHS lol. 4) I once applied for and was accepted for an audition for The Chase but I chickened out. 5) I used to love to sing. I was in the choir at school for 6 years, I played Sandy in a school production of Grease when I was 10 and I love a bit of karaoke. 6) I haven't been abroad in 11 years- I was 15 last time. Really need to get on that one! 1) Gillian from Purple Gillian. The only Northern Irish blogger I've actually met. She does awesome looks on her youtube channel and lovely blog posts too. Plus she brought me makeup back from America. 2) Aine from Ainebeauty Another fellow Northern Irishie! Helped me a lot in the beginning of my blog and channel. Lovely lady and great blogger/youtuber. 3) Rebecca from Rougepout. Skincare goddess, lovely Yorkshire lass and all round good blogger and Youtuber. 4) Faith from Music and Eyeliner. Another lovely Leeds blogger. Met her a couple of times now and she is great fun. Her blog is pretty eclectic, which I love. 5) Brenda Busybee - a newer blogger on the block. Lovely lady and really nice blog. 6) Chloe from Simple Beauty Chatter. My little twitter friend. Her youtube channel makes me giggle and judging by her latest post she has some balls and isn't afraid to speak her mind- love this in a person. 7) Shona Elizabeth another little twitter friend. Baby of the bunch but already a really good beauty blogger and fellow makeup addict! 8) Kellie- BigFashionista. Another Leeds blogger, and the ballsiest of them all. I really enjoy her frank and honest posts, she always gives me a giggle! 9) Georgina from She Might Be Loved. Another yorkshire lass. I love her hair, I love her makeup, I love her blog and she's just a lovely girl! 10) Now I've put this last as it's a long shot but the brief did say bloggers you admire so I'm adding in Sam Schuerman. I love her honest and funny youtube videos. I love her ditziness. The Schuerman Show Daily vlogs are part of my daily routine and I really admire her for being a great mum and blogger/vlogger.